While some RVers only use their setup on occasion, for others, RVing is practically a way of life! For this reason, assessing your needs and choosing the right RV is of the utmost importance when you’re just getting started. Thankfully, Arrotta's Automax & RV is here to help. We’ve detailed all of the most popular types of RVs for drivers near Coeur D’Alene, ID and Post Falls, ID, so you can begin the adventure of a lifetime on the right foot. If you plan on spending a large chunk of your time on the road, a Class A or Class C motorhome, complete with full-size furniture and other amenities, is probably the superior option. Class A models are more appropriate for the luxury RVer, while Class C models generally run on the smaller side. You can tell the difference between the two, not only by size, but also by shape. Class A models generally look like busses, while Class C versions have truck-shaped front ends. For the ultimate in durability and fuel economy, choose a diesel version of the Class A motorhome. These options are generally best suited to thousand-mile road trips. For some, choosing a trailer or a camper is a better option than choosing a full-size motorhome. Whether you’re just entering the world of RVs, or you need an option that can be attached and detached at will, it’s not hard to find a model that will fulfill your needs. If you drive a vehicle that’s on the smaller side, you’re probably best off with an Expandable trailer or a Fold-Down option (also known as a Pop-Up). These are also the most affordable options. If you’ve heard the word “Camper” being thrown around, there’s a good chance that the user was referring to a Travel Trailer. These options hook up using the standard trailer hitch that can be found or equipped on almost any tow-ready vehicle. If you drive a pickup with a specialized fifth-wheel hitch, a Fifth-Wheel trailer provides the best combination of size and stability that can be had in a non-motorized RV. Not sure if this option is necessary for your lifestyle? Compare fifth wheel vs. travel trailer options in depth. If you’d like to travel solo and enjoy “go-anywhere” confidence, a Truck Camper–a camping outfit fitted and affixed to your standard truck bed, just might be the perfect fit. These options are generally very stable, maneuverable, and versatile. Some drivers bring more than the family along when they head out on the road. If you like to travel with outdoor equipment like ATVs, snowmobiles, or waterskis, a Toy Hauler is your best option. These can be had in motorhome, fifth-wheel, and standard trailer styles. Still not seeing exactly what you’re looking for? Why not explore the advantages of RVs vs. tiny homes. 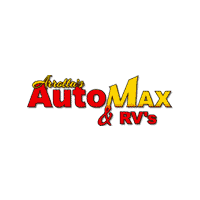 Do Your Own RV Comparison at Arrotta's Automax & RV! Ready to explore your RV options? Compare your own here at Arrotta's Automax & RV! We love helping drivers from Spokane Valley, WA to Liberty Lake, WA experience all the great outdoorsing adventures The Evergreen State has to offer, and our exceptional lineup of pre-owned RVs for sale in Spokane is one of the finest you’ll find around. Looking for a dependable pre-owned vehicle that has no trouble hauling a trailer? We can help with that, too! Apply for financing today to get started.